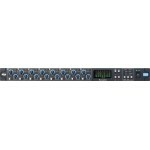 The ultra-compact Behringer MON800 MiniMON Stereo Monitor Matrix Mixer features a dedicated inpu..
MINIMIC MIC800 from Behringer is an ultra-compact microphone modeling preamplifier that can endow vo.. 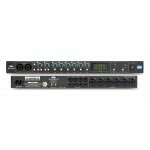 Sing along with the powerful MIX800 MiniMIX karaoke machine from Behringer! Its revolutionary vo.. 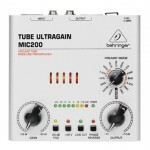 The Behringer Tube Ultragain MIC200 Mic Preamp is a vacuum tube preamplifier with preamp-modelin.. 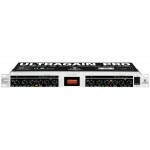 When you want to warm up your sound, only a tube will do, and the Behringer MIC2200 Ultragain Pro .. 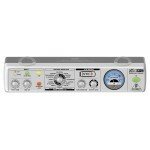 The LA12 is a low noise, low crosstalk distribution amplifier with high bandwi.. 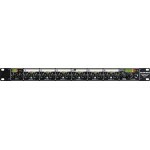 The Drawmer DA-6 is a six channel stereo (or twelve channel mono) distribution amplifier featuring X..
A feature-rich expansion upgrade for any digital audio workstation. 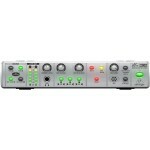 The Focusrite OctoPre MkII .. 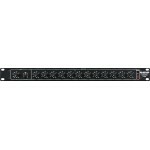 Ideal for expanding the number of high-quality mic-pre inputs on your interface. 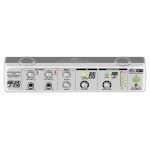 The Focusrite ..